What factors should be taken into consider when purchase outdoor LED advertisement player - Shenzhen Verypixel Optoelectronics Co., Ltd. Relative to indoor LED display applications,Outdoor LED advertisement player has higher resolution indicators to meet a variety of distance or high ambient light conditions displaying effect. Traditional LCD display resolutions up to is only 1024×768. However, according to the actual test data shows that the resolution of outdoor display applications at least achieve 1920×1200, it can be operated under the sunlight. 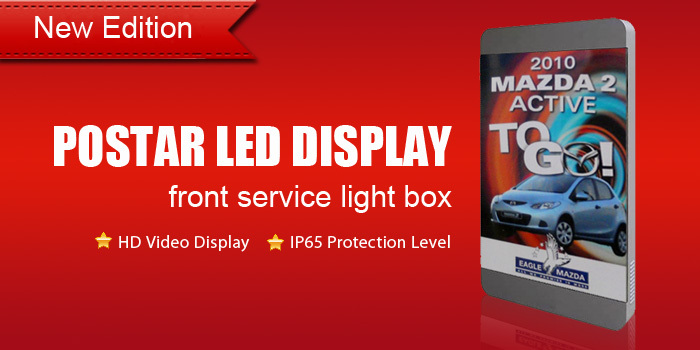 For LED advertisement billboards,"Resolution " will not be a very big problem for all its applications. In order to make outdoor LED screen advertising adaptive clutter environment, excepting resolution, we still need to consider the some factors like woaterproof, dust-proof, security, lighting protection,anti-explosion，anti-reflection and anti-EMI disturb, etc. What else do we need except high resolution for an outdoor LED advertisement screen. Outdoor LED screen needs waterproof and dustproof.Showing device housing protection rating must be waterproof(IPX5 grade), which can work under heavy rain. Dust is an important factor in declining trade efficiency and accelerate the aging of goods. LED Outdoor products have specifically designed for dust-proof structure and dust filtration products, protection grades is IP65. Outdoor LED advertising screen need smart thermostat. Outdoor LED screen will heat when it operating, solar radiation,air flow,the internal electronic components heat.According to the geographical difference in temperature and equipment installation position,LCD advertising machine has determined the Temperature Control Programme,like air condition cooling or forced airr cooling. But no matter use what kinds of thermal solution, LED machine shoul be at: Temperature:-30°C-55°C Humidity:10%-90%. Outdoor LED advertising screen should be anti-explosion and guard against thief: Outdoor LED presentation devive mainly apply to outdoor public palces,public safty and the screen itself security should be considered. Generally, Outdoor screen adopted special tempered laminated glass, even though the glass is broken,it only has some crack like a spideweb, will not fall down as pieces, which will not hurt people or cause any property loss. In addition, should avoid the screw exposing outside, adopt some special hardened structure to slove the problem of theft. 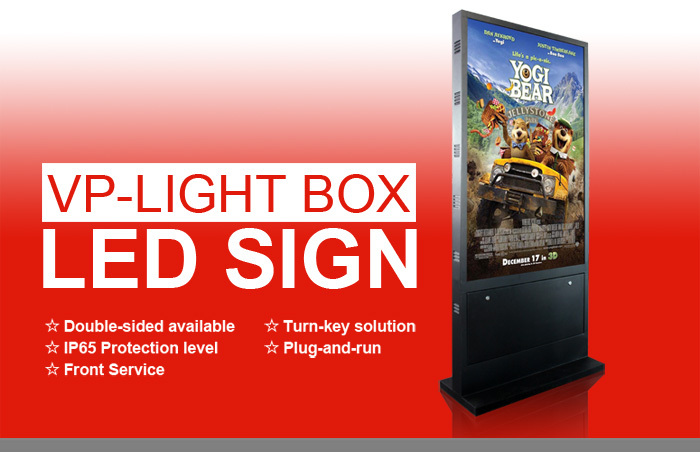 Lighting protection measures should be taken for outdoor LED advertising screens.Reliable lighting protection design is necessary, this will give the security assurance to the LED player. Outdoor LED advertising screen should be anti-reflection. In order to have a clear images in outdoor environment,anti-reflection is an imortant factor should be taken seriously consideration. It is necessary to use glass with a special coating process to improve the visual pixels and resolution. Anti-electromagnetism Disturb: Outdoor nature environment is un-controllable, we can not change the outer environment but we can use some shield methods to protect the insider electronic components from electromagnetism.Effectively prevent internal components, cables for signal trouble, but also can prevent the external electromagnetic trouble for LED products.